Saturday September 15th 2018. Ashley and Tony wanted a Wedding car in Chorley, Addlington actually. 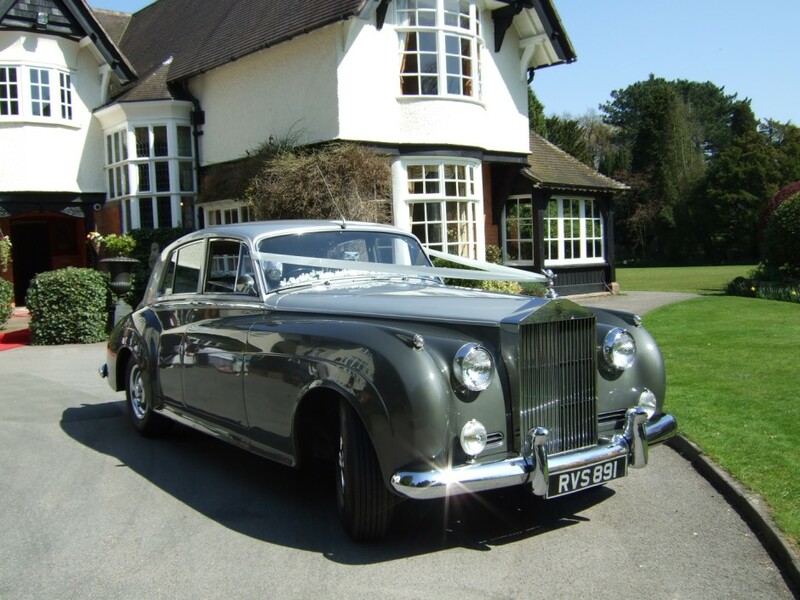 They saw our 1956 Rolls Royce Silver Cloud Wedding Car and booked it for their Wedding day. Unfortunately the weather could have been better but this didn’t spoil what was a great Wedding. We arrived at the pickup address for Tony, the Groom nice and early as we needed to do two trips to St. Pauls Church in Addlington, Chorley for Tony and his family. 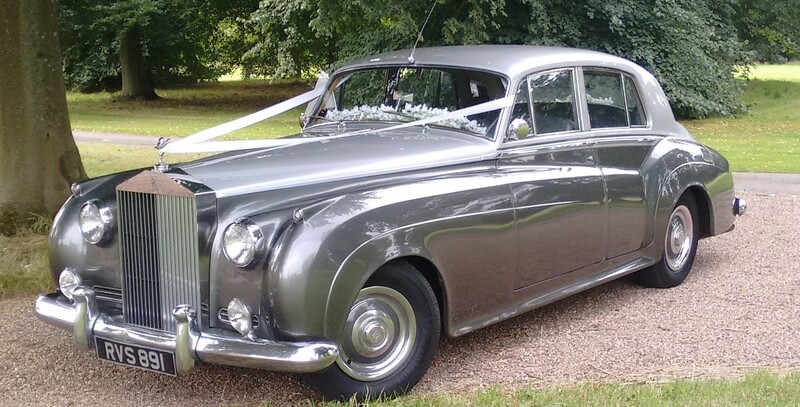 After the Grooms party arrived in our Rolls Royce Silver Cloud Wedding car,at St Pauls our wedding car then made it’s way over to another address in Addlington, near Chorley to collect Ashley’s bridesmaids and then one last trip for the Bride and her Father. Everyone arrived at church in good time so the Bride had plenty time to have those all important photographs taken before she went into church. After the ceremony was over we had a request from the Bride and Groom to go for a short drive as the Wedding reception was only a few minutes down the road from the church at Addlington Community centre, this we did, it gave our newly weds a few minutes to themselves before we arrived back in Addlington. Many congratulation to today’s happy couple from all of us at Elegance Wedding Car Hire, we wish you well for your future together and thank you for your booking. Wedding Car used. Silver /Grey 1956 Rolls Royce Silver Cloud. Wedding venue. St Pauls Church, Addlington, Chorley. Wedding reception. Addlington Community Centre, Addlington,Chorley. If you are looking for a Wedding Car in the North West, including Chorley give us a call. We will give you the best quote we can and deliver the very best service we possible.